FIDE Candidates: Vishy Anand was the only player to remain undefeated on +3 and thus safely took victory setting up another WCh-match with Carlsen. The tournament winner has annotated his nice win against Topalov for us. Gashimov Memorial: World champion Magnus Carlsen thanks to an outstanding second half won the tournament by a clear point. Carlsen’s conquerors Caruana and Radjabov have annotated their victories. In addition to this, the DVD offers Daniel Kings "game of the day" video for every round. European Championship: Alexander Motylev became the new European champion scoring an outstanding 9 out of 11. Bartel, Eljanov, Motylev, Postny and Roiz have annotated their games for us. NEW! With this issue German federal trainer GM Dorian Rogozenco starts a new series in ChessBase Magazine: in the “Classic” he shows you a master game from the history of chess and at the decisive moments he asks you how you would continue. 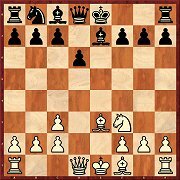 Here you can learn about the “classic” ways to win a game, strategies and endgame techniques, which are also so very worthwhile knowing for club and amateur chess. Take the test! To start his series Rogonzenco has selected for you the game Lasker-Bauer (Amsterdam 1889). Interactive training lectures with video feedback to your ideas: Daniel King „Move by Move“, Oliver Reeh “Tactics" and Karsten Müller „Endgames“ - get on a move! 13 new opening articles with lots of new ideas for your repertoire: Viktor Moskalenko reveals secrets of a "secondary opening" (Budapest Gambit: 1.d4 Nf6 2.c4 e5 3.dxe5 Ng4 4.Bf4 g5), Tibor Karolyi provides a white repertpire against the Alekhine, Evgeny Postny examines an original queen move in the Grünfeld 1.d4 Nf6 2.c4 g6 3.g3 c6 4.Bg2 d5 5.Qa4 and many more! Opening article for free download! The most popular is a move which is not typical of the Hedgehog 13...Nc5, with which Black takes into account the specific position on the board. 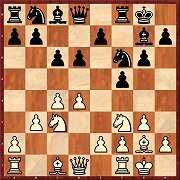 After 14.Qc2 less attention is paid to 14...Qc7 in the article on the DVD; 14...Qf6 is more interesting and is usually met with 15.Rac1 or 15.Rab1 which was successfully played by young Indian GM Parimarjan Negi only recently. Rainer Knaak draws the following conclusion from Szabos article: "5.Nb5 is not very popular with top players, but that could change since the positions which arise are full of possibilities." 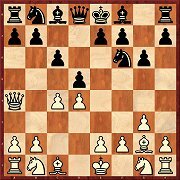 White usually responds to Black’s double fianchetto with a setup in which the most salient characteristic is the transfer of the queen to h4. Igor Stohl takes some recent games by Sergey Karjakin as a starting point so as to inform you about the latest state of play. 4.Bf4 actually deserves to be preferred to 4.Nf3, but many players probably feared 4...g5. Baadur Jobava’s victory with Black over Radoslaw Wojtaszek may serve as confirmation of that. Viktor Moskalenko acquaints you with the advantages and disadvantages of the pawn move. When on the lookout for variations which avoid the Leningrad System, one could turn to the setup with Bf4, in any case that is what Levon Aronian has also played. 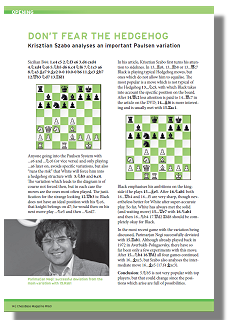 But, as Boris Schipkov demonstrates in his article, Black can obtain a good game. 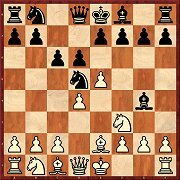 Recently Black has been doing very well in the Leningrad Variation with 7...c6. Mihail Marin now undertakes the more ambitious attempt to achieve something of an advantage for White. To do so he has chosen the “natural” 8.b3. 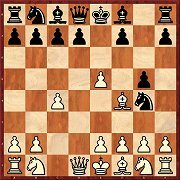 With this article Tibor Karolyi would like to bring you a repertoire against the old main variation (4...Bg4) of the Alekhine Defence. In Part 1 the setup with 5...c6 is dealt with, but it is not at all difficult for White to obtain a safe advantage. A Hedgehog position is reached soon after 5.Nb5 and the position in the diagram then comes about almost “automatically”. In his investigations Krisztian Szabo comes to the conclusion that the variation is very playable for both sides. 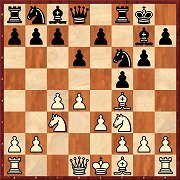 This would be a simple variation for Black if he could play d6 and Nc6 (or vice versa), and as a matter of fact many top players had the variation in their repertoire. But as Dejan Bojkov and Konstantinos Markidis prove, White can obtain an advantage. 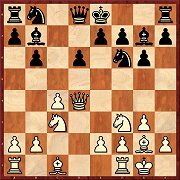 This (5.Nc3) is a very comfortable variation against the Petroff; White often gets the bishop pair and a pleasant game. But as Lars Schandorff shows, Black nevertheless equalises. 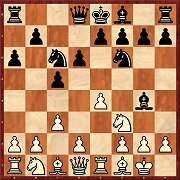 So are the days of this variation numbered or is it sufficient nowadays to have a pleasant game without any advantage? 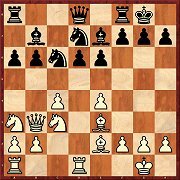 This setup is still quite new, but is becoming more and more popular: White wants to bring his Nc3 rapidly to d5 and only then play c3. Gergö Havasi has examined the variation and recommends 9...Be6 for Black so as to fight for the d5-square. 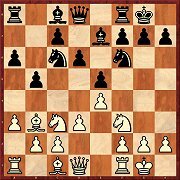 The variation with 6.Nb1 has been known for quite some time, but a new development is being introduced with the pawn sacrifice 7.Qc2. According to Alexey Kuzmin’s analyses Black has not looked too comfortable in practice so far. On the next move White wants to take on c5. If Black now plays 6...cxd4 7.exd4 to transpose to an IQP position, it will be hard for him to equalise according to the analyses by Michal Krasenkow. 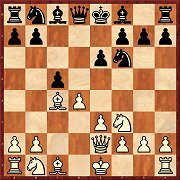 But in the other lines in Part 1 with 6...a6 7.dxc5 White also obtains an advantage. 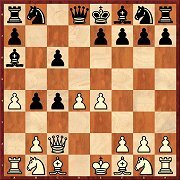 The intention of the surprising 5.Qa4 is obvious: White wants to take on d5 without the c6-pawn being able to recapture. But Evgeny Postny shows that Black has several good replies, including also 5...Bg7 6.cxd5 Nxd5. 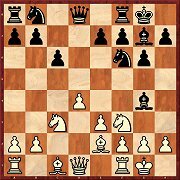 According to the analyses of Andrey Sumets the somewhat surprising retreat of the bishop allows White to obtain a clear advantage. Black usually concedes the bishop pair and the centre too, that is too much.